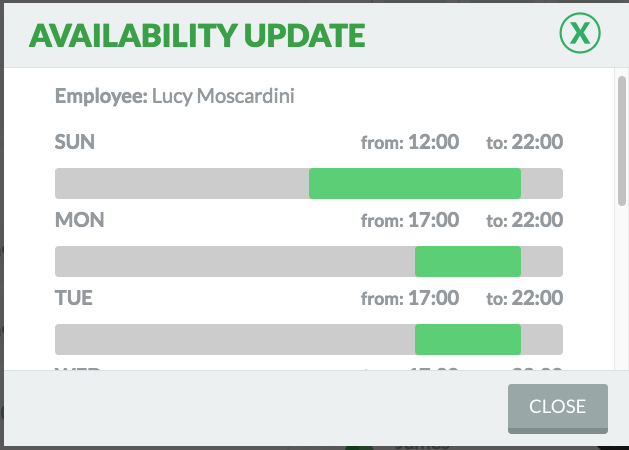 How can managers view employee availability updates? One of the core benefits of RosterElf is that it puts the responsibility on employees to keep their own availability up to date. Staff can do this by logging onto their account on a PC or our free android or IOS app and setting their days and times they are available to be rostered on to work. Employees can update this information at any time to ensure their availability is always up to date. 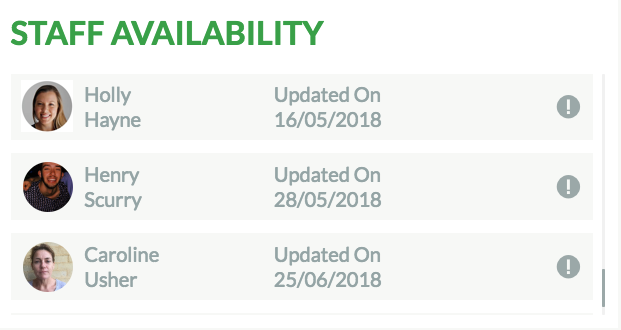 Whilst RosterElf's "Perfect Match" system will automatically use this information to suggest potential matches for shifts, managers can keep abreast of changes in employee availability via their dashboard. To view detail on the updated times and days employees are available, managers can click on any of these records to see complete information.